Sath, a students’ group, organized a seminar on “Phenomenon Of Genocide in Modern Era” at Zoology Auditorium in Punjab University campus in Chandigarh on 15 November 2018. 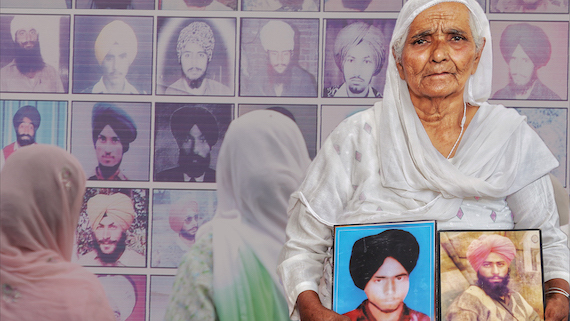 The seminar was held in the memory of those victimised during the 1984 Sikh Genocide. In this seminar Dr Garga Chatterjee (Indian Statistical Institute), Sikh author Bhai Ajmer Singh and Parmjeet Singh (Editor, Sikh Siyasat News) presented their papers and shared their views. He said there are some basic factors like fear of god , fear of law and fear power of opponent that stop a person/group from committing crime but the modern state rejects authority of religion and has instead turned it into a tool to serve its ends; while the does not have any fear of law and it has more power as compared to targeted groups, that’s why when states commit or back genocides they result in mass destruction and are followed by impunity. He said even law and convention of 1948 failed to prevent genocides as there is no authority above the state. 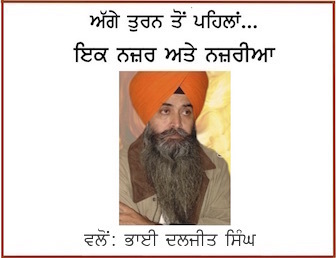 He credited Sikhs for not forgetting 1984 but added that mere not forgetting was not enough. Explaining it further said two notions of state are prevalent. One is the Liberals’ viewpoint on the state and other is Marxists’. Liberals describe state as a neutral agency to maintain law and order and to stop anarchy while providing people basic facilities. On other hand Marxists describe state as a tool of one class to suppress other classes. He said both notions have proved incorrect as the state is not neutral and it is also evident that no genocide in the world happened on basis of class. He said that then there was a Jewish perspective who believe state as a circle and it is duty of state to take care people living in that circle. This definition too dehumanizes people living outside that circle. He said that political and military concentration always results into genocides if it works without some high ideals and this problem can only be clinched by establishing that the state is not all superior. He said that Gurbani has the vision where a tab could be kept even on the state authority therefore the Sikhs have a larger role to play.